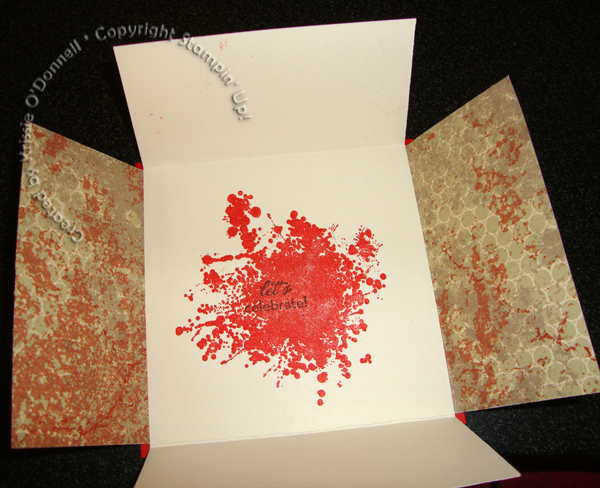 I saw this card on Dawn Griffith’s blog, and did my own masculine spin on it… I really have to force myself to make masculine cards! 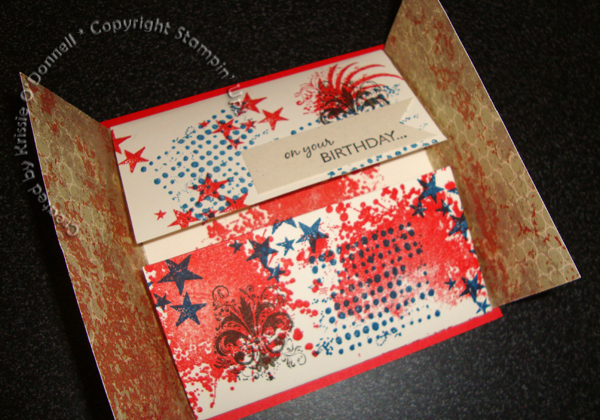 I got the Well Worn DSP expressly for the purpose of being inspired to make more masculine cards though. 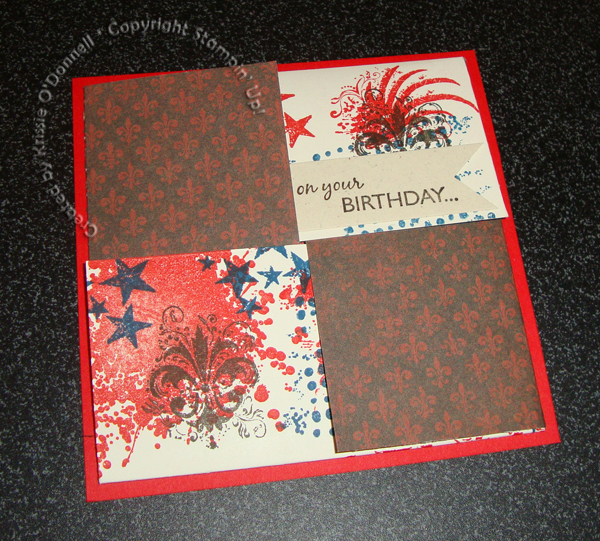 I liked how the fleur de lis in the paper matched the stamp in Extreme Elements too!